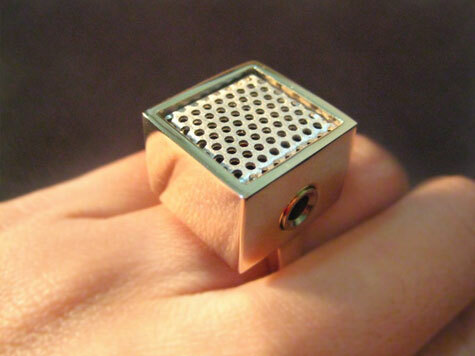 Sterling silver ring with built-in microphone that works! Crafted by hand, this sturdy angular ring has a mirror shine finish toped off with a brush treated perforated aluminum lid. Looks fantastic when used as a microphone or in standby mode as jewellery. arrived to me! It is called ?Rode Podcaster? 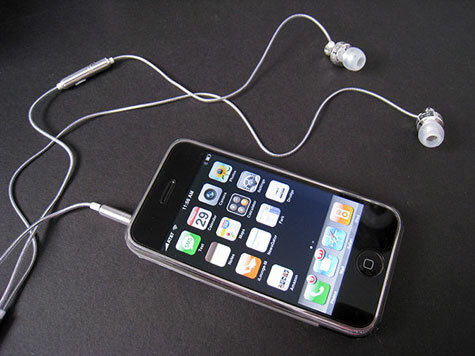 and it is broadcasting quality microphone made by company that makes usually studio microphones. Interestingly it is ?Made in Australia? - my first Oz-made gadget! Below on the photo you can see that it is not small - it is quite huge - it lies on my old Tablet PC and nearby MS Smartphone is lying for size comparison sake. The audio quality is incredibly high and the only ?problem? is ?p-sounds? that means that ?p? somethings is too loud and ?p-filter? should solve it. I know that even users of professional microphones use p-filters so it?s natural. Anyway: this Rode Podcaster is the best USB microphone on this planet - I was trying several ones and this one has the best sound. Now I will be able to record podcasts with audio quality not lower than this one offered by professional studios in radio and TV stations?